Three friends with wildly different lives—but the same heart—come together to celebrate hopes, dreams, and the Wishes that fuel them. 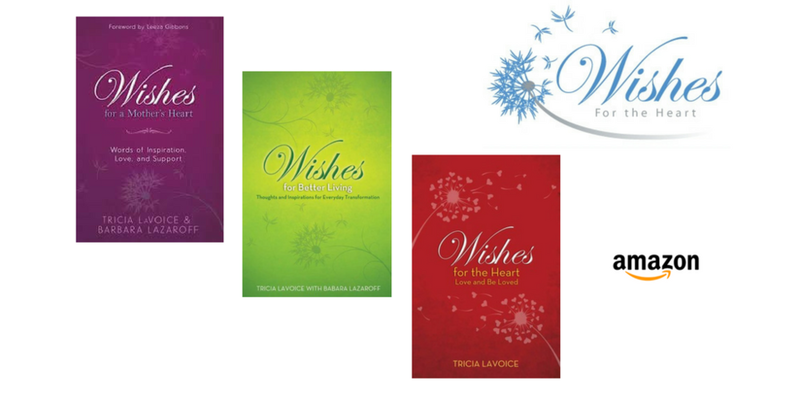 Loving friends Tricia LaVoice and Barbara Lazaroff have created a timeless collection of original reflections and pragmatic suggestions for a more fulfilling and purposeful life. A tribute to women of all ages, this book honors the significant connections that women share with their mothers, daughters, grandmothers, sisters, aunts, cousins, and friends—and the bonds of sisterhood that permeates their lives with support, devotion, and wisdom. The perfect gift to share, this inspirational book is for your mother and your daughter, for your sister and your best friend . . . and for the new mother and the mother caring for her children while caring for her mother. It is for the mother who works all day and comes home to work all night . . . and for the mother who helps other mothers. And . . . it is for the woman who never gave birth but mothers all of those she loves. But most of all . . . this book is for you!